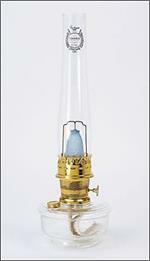 Weems & Plath Oil Trawler Lamp 8201. Hanging Polished & Lacquered Brass Ship lamp, Home or ship. Hand made to commercial ship standards by Den Haan Rotterdam Dutch Manufacturer. 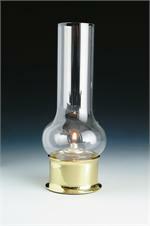 DHR Polished & Lacqured Brass Clipper OIL Lamp 8207. Den Haan Rotterdam made in Holland to commercial ship standards. Shade inside is white stove enamel. 10" x 16 7/8" weighs about 4 lbs. Solid Brass Hanging Lamp, polished and lacquered Weems and Plath Den Haan Rotterdam made in Holland 10.5"
Yacht OIL Lamp Weems & Plath 10"
Genuine Aladdin Oil/Kerosene Lincoln Drape Lamp. Amethyst w Nickel burner. Amethyst (Purple) Glass font, Nickel hardware. Complete lamp. 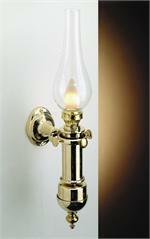 Bright white light, also available in Brass. SEE WWW.Aladdin-US.com for ALL aladdin items produced now.